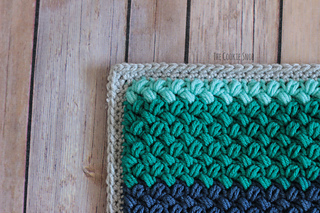 This pattern is for a textured baby blanket, made from the bean stitch. 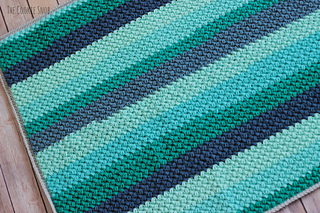 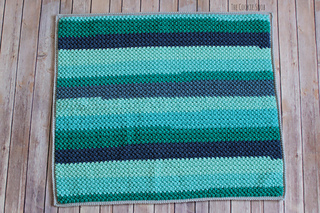 A bean stitch photo tutorial is included with the pattern as well. 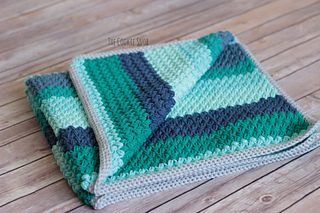 The blanket has a simple sc border. 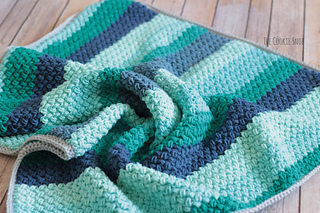 Using 3 skeins of Yarn Bee Sugarwheel in Minted Macaroon and a size J (6.0mm) crochet hook, my blanket ended up being about 35”x31”, but the size can easily be adjusted to make it larger or smaller. 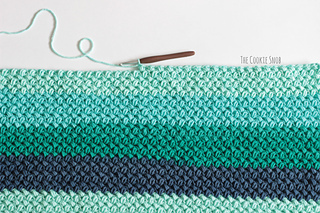 I tend to crochet more tightly than average, so I would recommend going down a hook size if you want to match the same dimensions.